Chiptune Album Review - Souleye's "Adventure"
About a month ago, Magnus "Souleye" Pålsson released his album Adventure. If the name doesn't strike a bell, he should be well known as the composer of VVVVVV. As a short review, that should be enough reason for you to purchase it immediately, because it has more of that outstanding style of chiptune music which channels the Commodore 64 SID chip while sounding both cleaner and with more compositional depth. Adventure isn't an album for any specific game, but rather a compilation of various works. Much of it is remixes for a rhythm game called Pulsen, which I haven't played. A number of VVVVVV's tracks appear remixed here, including one of the versions that was added especially for the 3DS port. While I'd generally prefer new music, the new arrangements are very well done, often expanding the songs, adding layers or kicking up the tempo. Some songs have changed significantly, like Pressure Cooker, and I think I might actually like this version of Predestined Fate a little more than the one in the game. It also includes the two new songs that were added to the V2.0, Paced Energy and Piercing the Sky, which aren't as well known because they're only heard in the level editor or user levels, but are still two completely excellent songs. The rest is a handful of shorter tracks and bits that have appeared on other compilation albums. Some are original, others are arrangements, like a song from Super Meat Boy, as well as a rendition of the Zelda II battle theme, whose orchestral theme doesn't quite match the chiptune sound of the rest of the album, but is a good piece nonetheless. My favorite piece of these is Phat Flying Duck, which is from Bitejacker, and is easily as good as any of the tracks found in VVVVVV. Reiterating what was said in the intro, if you're even remotely a fan of chiptunes, Adventure is an absolutely essential purchase. It's available in digital format on Souleye's site for $10 as a digital download, or $10 plus shipping for a CD copy. The full breakdown of tracks is available at VGMDB. Most retro gamers are familiar with Christian themed games like Bible Adventures, but for awhile there were actually a number of biblically-influenced first person shooter, trying to capitalize off of the popularity of Doom and Quake? This update's article includes a look at five of them - the most noteworthy is Super Noah's Ark 3D, which infamously licensed the Wolfenstein 3D engine and was one of the only unofficial SNES carts out there, but the rest are of the PC, and there's some interesting history behind them. Continuing the coverage for "decent but slightly overlooked NES titles", read about Conquest of the Crystal Palace, one of the first games developed by Quest, who would later go on to create Ogre Battle. The other articles are for more recent games, cult classics that deserve to be picked up immediately though they've been out for awhile. Deadly Premonition is one of the most divisive games of the generation, with both criticisms for its awkward controls and praise for its incredibly bizarre atmosphere. There's also an extensive interview with SWERY65, the game's developer. And Ghost Trick comes courtesy of Shu Takumi, the guy beyond the Ace Attorney series. It has been growing a little bit stale lately, so he changes up the forumula with something brilliant, and, of course, it flops. The DS games hasn't gotten TOO expensive though, and the slightly nicer iOS version was released in English not too long ago, which you can buy for $10, which is easily worth it. The third episode of Game Club 199X is up also - this talks about The Maze of Galious, the second in Konami's Majou Densetsu series. 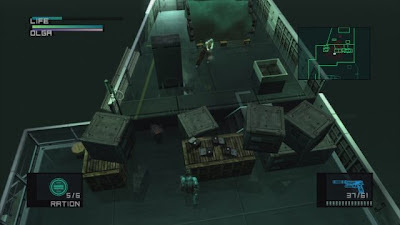 It's an action-RPG that takes place in a rather expansive maze, although despite its exploratory structure and side-view perspective, it has more in common with the original Zelda than Metroid. Your Weekely Kusoge is Taiketsu Rumiizu!, an old Bomberman clone that gets it horribly wrong, and the featured article is a re-look at the innovative but clumsy SNES title SOS, an ode to The Poseiden Adventure with numerous endings. 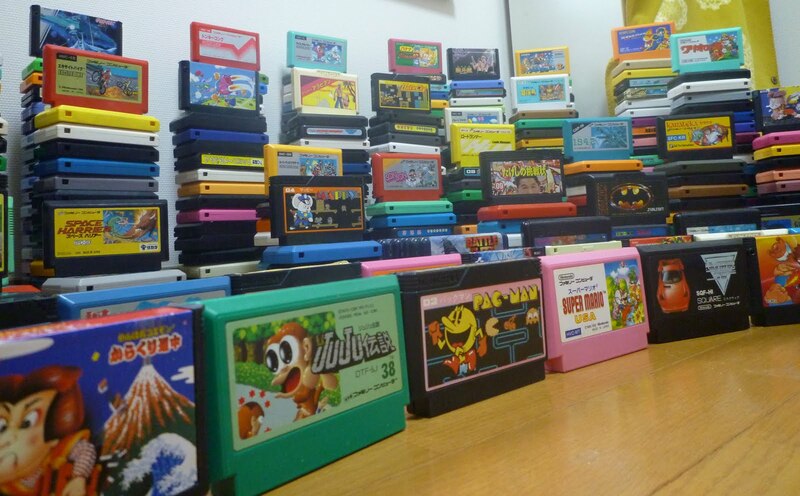 In 2003, to celebrate the 20th anniversary of the Famicom, Famitsu magazine in Japan conducted a nation-wide poll to find the country’s 100 all-time favourite Famicom titles. I translated the list for an article on NTSC-uk many years ago, but since being rebranded as Bordersdown all their old articles have been lost. In light of the Famicom’s 30th anniversary next year, and the fact that several HG101 staff have been reading France’s La Bible NES almanac (chronicling every Famicom game ever), I thought it time to repost the list. I’ve made several translation corrections, plus there’s commentary. Heading photo taken from the Famicom Blog. 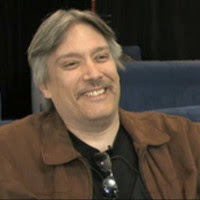 It recently transpired that ReyVGM on the HG101 forums had exchanged several emails with games industry veteran Ken Lobb. Not many will recognise the name, though his initials KAL should be more familiar. He worked at Taxan, Namco and Nintendo, and had the Klobb gun in Goldeneye named after him. As we’ll reveal, he’s been responsible for some truly, astoundingly excellent ideas. Read on for the email exchange. Following up on our post from last week, here are a few of my personal favourites that Discoalucard may either not have played or not have liked as much as I did. I'm not too much of a fan of typical horizontal or vertical scrolling shmups, so this was a welcome surprise. You control Chieri, who from what I can discern of the story jumps into a draining hot spring steam bath after her father gets sucked down the drain. Or something. Anyway, the cave is full of red dots which you use to fling around on her pet's tail to avoid falling into the water and to fight the enemies with a quirky inverted control scheme. There's not much in terms of content, but it's sheer, simple arcade fun. I hear this was inspired by an earlier PC doujin game called Wire Robo (second picture), but I couldn't get that to run on my computer. It's a bit hard to find since it doesn't have an English title, but you find the Japanese titles at the very end of the list on the marketplace. What looks like a T-1000 running through the world of Rez, Pepsi Man-style is pretty much the 3D equivalent of those high speed auto-running platformers you see frequently as flash games (there are a few exambles on the XBLIG marketplace, too), but in this case that means a whole more dimension of fun. 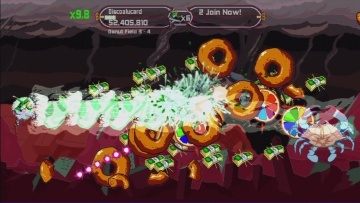 In each curse you have to collect a set number of batteries before reachingthe finish line, which starts out as a perfectly straight-forward task, but soon things get more complicated with branching paths, arrows on the floor that make the robot go faster or slower, various obstacles and sometimes even a change of direction. Sometimes the programming makes things a bit awkward; when you fall down it often feels as if you've glitched out of the level, but eventually the game will register your failure. This is one of the only two games in this post that go for the higher price of 240 MS points. And yet another Japanese game, though this time with a title in Latin characters. 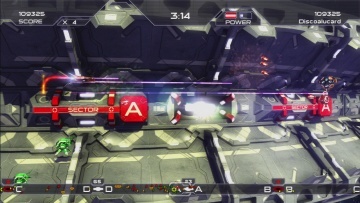 Nyan Tech's levels are full of letter-labeled colored platforms, which all correspond with the buttons on the control pad they react to. Some are activated as toggles, some by holding the button. The fact that they can be linked with other vital inputs like running and jumping makes things very interesting in the later levels, although first you have to put up with a very slow difficulty curve and many stages that feel introductory. Still one of the most conceptually interesting puzzle platformers I've seen, though. OK, this is not a real recommendation, given that it's much too short for being on the highest price tier (240 MS points). Space Milkman doesn't even try to hide how much it owes to Super Mario and employs dozens of the series' tropes, but it has its share of own ideas and almost every stage tries some different interesting concept. Aside from a penguin dive, which Nintendo appears to have stolen for New Super Mario Bros. Wii, you can pick up powerups to paint the adorable little space penguin(?) 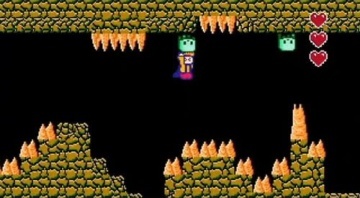 in different colors the red coat allows him to throw blocks which stay in place as temprary platforms as soon as they hit a wall or floor, the yellow one allows him to attack enemies with banana projectiles. The weirdest part is the "story", though: In short cutscenes alien signalizes with symbol language in speech bubbles how sick he is of meat and how he wants to get milk. Then he proceeds to collect cookies and muffins as pointless collectibles in the stages, before a cow awaits at the end. Also features some of the greatest retro sound effects ever. If your indie game has a ninja on the "cover," then you've already made sure that I'll at least download the trial, but Ninja 360° even got me to shell out the whooping 80 points for the full version. It's not as fast-paced as I usually prefer my ninja games to be, but it's a neat little puzzler where gravity is always oriented towards the last axis you've stood on solid ground. Running along curves turns the world around, and you have to use that quirk as an advantage to collect all the coins in every stage. Finally, I want to give a shout-out to Platform Hack, although I can't really describe what draws me back into it. The controls and mechanics feel as amateurish as the graphics look, and the RPG-style upgrading system is completely imbalanced. This is a true homebrew experience, but somehow... it's fun! 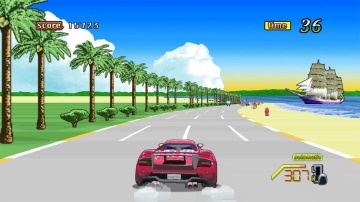 This is basically an OutRun clone, although done with high res graphic tiles. It doesn't quite have the same charm without that mid-80s pixelly-ness, and there's only one route to the end rather than dividing until multiple courses, but the controls handle well, and it's pretty fun. The major difference is that hitting a car only bumps you out a bit instead of causing you to spin out of control - to balance this out there's also a lot more cars on the road, which makes it feel a little more cluttered compared to the original game. 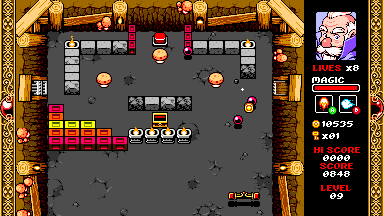 Neat little action-puzzler where you need to reach the exit and collect as many gems as possible before the rising lava table turns you to ashes. Great idea, and it's definitely a solid game, but it feels like it could use some kind of gimmick (grappling hook? Grappling hooks are rarely not awesome) to really make it shine. What's essentially a parody of the awful new Xbox Live interface is actually a really damn good game, or at least the foundations of one. Actually navigating through a series of cluttered, inane menus, you can actually play the game, starring that weird green hoodie-wearing, jump kicking girl featured in the "Game Type" menu. It's a shooter vaguely similar to Mommy's Best Games' Shoot1up, with a big focus on scoring mechanics. Shooting enemies will slightly increase your multiple, as well as grant you cash to build up your "parkour" (AKA laser) bar. You can also sacrifice half of your laser bar to slow down time and cancel out any bullets with your beam. The same level is looped over and over, progessively getting harder, and while the scoring is fun, it's a little bit too easy. With some balancing and placed in the context of a standard level-based game, this would easily be amazinh. It's funny too - all of the random enemies you fight are comprised of the commercialized junk you see on the fake dashboard. I actually should've written about this while back, since it's well over a year old at this point. It's retro throwback like many titles on the service, although better than most. 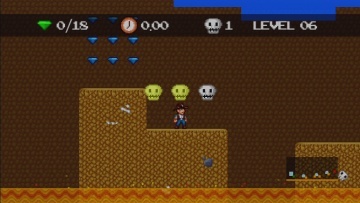 Greatly inspired by Super Mario Bros. 2 (the USA one, or Doki Doki Panic, if you'd like), the main mechanic involves jumping on enemies and picking them up. Advancing that idea a bit, like Kirby, many enemies have a unique property, whether it allows you bounce on spikes or flip gravity. The first level's a bit slow, but once it gets going it's a quality game, and is just enough to make you annoyed at Nintendo that they never properly followed up on SMB2. 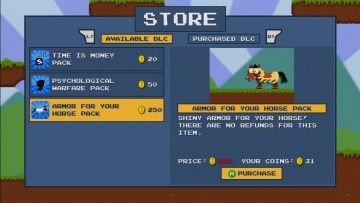 A platformer where you're required to advance the game by collecting in-game currency and purchasing random stuff, spoofing the modern day need for DLC. You begin without the ability to jump (or even properly animate) and eventually work your way up to buying in-game weapons to avoid grinding and so forth. As a game it's pretty average, and it's essentially a one-joke premise spread out over a thirty minute game, but it's presented well enough to make it funny, so in the end it's worthwhile. 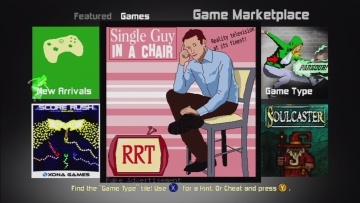 Plus considering the gaming industry takes itself far too seriously, any kind of satire is definitely welcome. Far and away the best looking game I've seen on the service, Orbitron is a variation on Defender, where you must defend an orbital ring from enemies. There are set cores that are attacked, so it's a matter of flying back and forth, trying to juggle the quickly mounting onslaught against multiple areas. Thankfully there's the ability to boost to move quicker, as well as gates to quickly move between sectors. Plus there's a scoring system involving multiplers to make things a little more interesting, and again, it looks incredible. The only downfalls: sometimes the power-ups tend to look too similar to enemies, and the frame rate is stuck at 30, so combined with the slightly curved scrolling at the edges, it's slightly headache inducing after awhile. Apparently there's a PC version in the works which will run smoother, but this game is still definitely worth the 240 points as it stands. We already did an article on this Arkanoid-type brick-breaker game a few months ago, but we wanted to highlight this again because it's worth grabbing. It's also out on the PC. 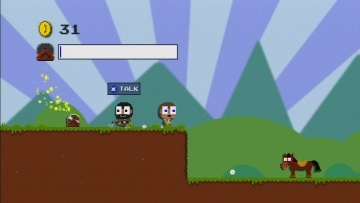 I really should work on compiling a list of "must have" XBLIG titles. There's a huge amount of junk on the service, but also some rather excellent titles that tend to get ignored - even for myself, I usually only go browsing through there every few months to see what's new, but then again, I only turn on my Xbox once every few weeks to begin with. Everyone by now really should have, at the very least, Protect Me Knight and Shoot1up, as well as Breath of Death VII and Cthulhu Saves the World (if you don't already have the PC versions of those anyway). Any other favorites? Click the link for save files and links to all the BnN diary entries. Those of you who follow the blog know I have a fondness for the Boku no Natsuyasumi series (despite consistently spelling its name wrong). In addition to my diary entries on BnN3 for the PS3, I have no finally put up all 30 save files for the game. One for each day of the holiday. It's on GameFAQs. I was going to put it on Megaupload, but the FBI shut that down. It's pretty much 100%, apart from failing to water grampa's vegetable garden. So if you have the game but find it a little too daunting, hopefully the save files will allow you to dip in and out as you please. Also, links to all the previous blog entries. Do you want diary entries?